Local Directions: From town: Go 4 mi S on East Shore Rd. 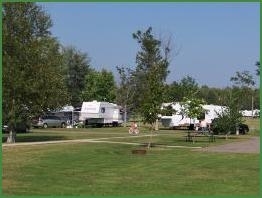 Park is perfect for short stays as there is no site water or sewer hookups. Located on large lake 4 miles from small town. 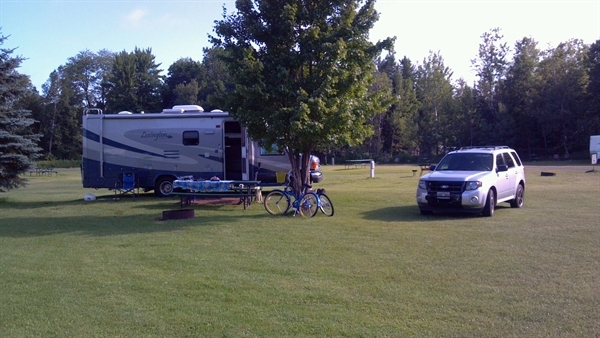 Spacing between rvs twice normal pvt parks. Lots of green grass and paved roads. 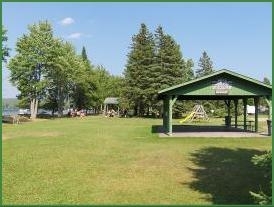 Boat launch, nearby local food/bar, pay showers, and perfect for kids. $19/NY first-come first-served.